Yes! 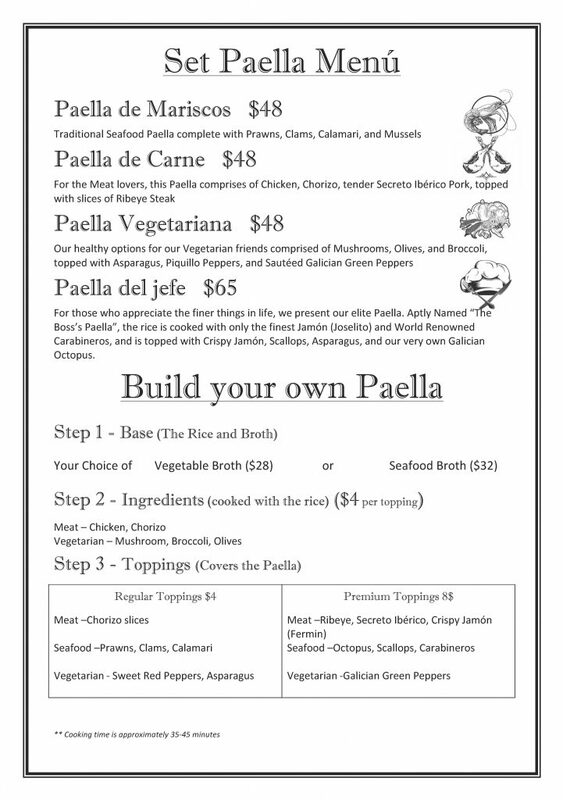 You have to try this… After a string of culinary experiments, My Little Tapas Bar is proud to bring you a whole new Paella menu. 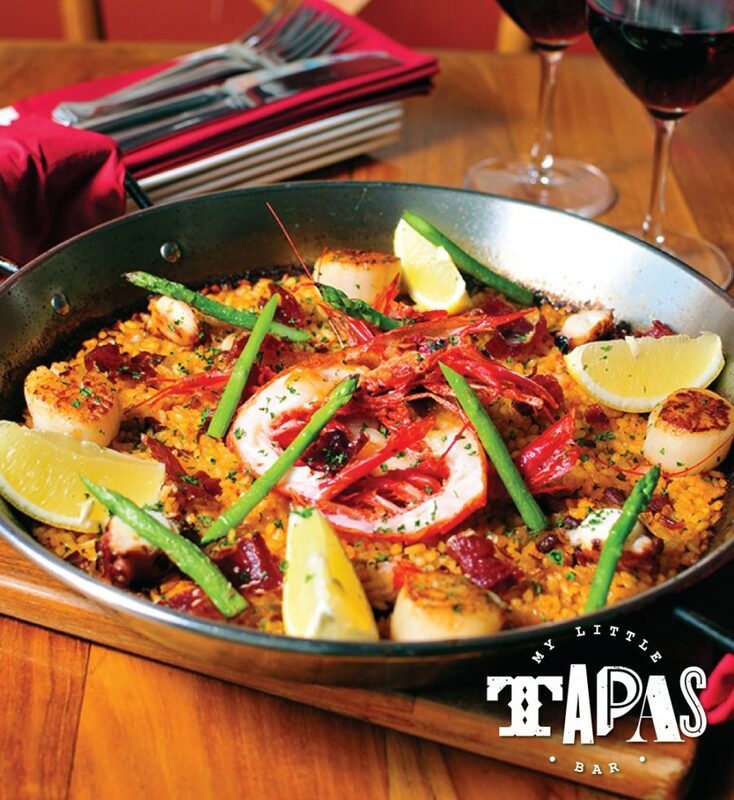 Our unanimous favourite is what we’re calling the Paella del Jefe (“The Bosses’ Paella) – an incredible combination of saffron rice cooked in a rich Seafood-Jamon broth, topped with Spanish Carabineros Prawns, Octopus, Fresh Grilled Scallops, Asparagus, and some amazing Crispy Fried Jamon Joselito, for a truly umami experience. And if you can’t get enough of it, push it “over-the-top” with a choice of over 15 different ingredients and toppings, or start from scratch to design your own bespoke paella from the base up, and our culinary team will whip it right up for you.